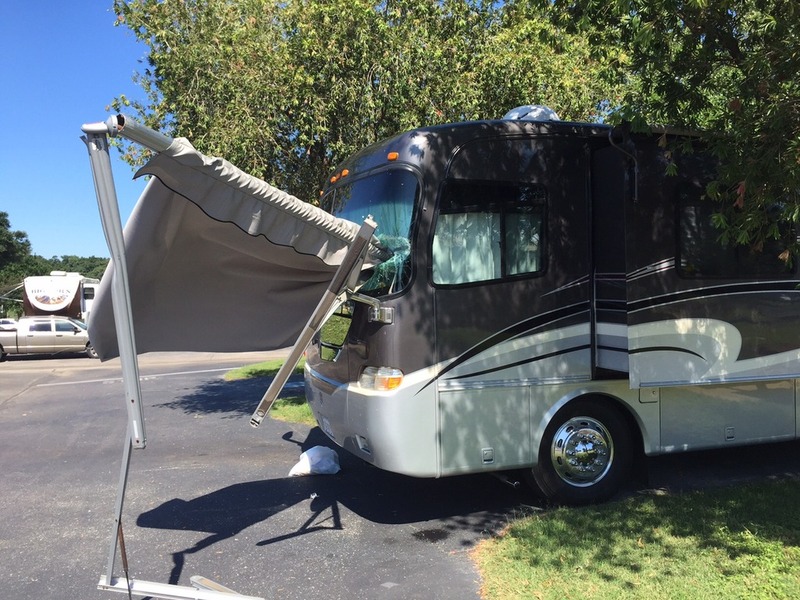 You know what happens when you pull out of your campsite and forget to let your awning in? It might get stuck on somebody else's windshield !!! I went out walking the puppy dog and walked up on this mess. The owners of the MH with the damage are out for the morning and were not home when this happened. The other guy that lost his awning I guess has left the park as there is no coach around with a missing awning. 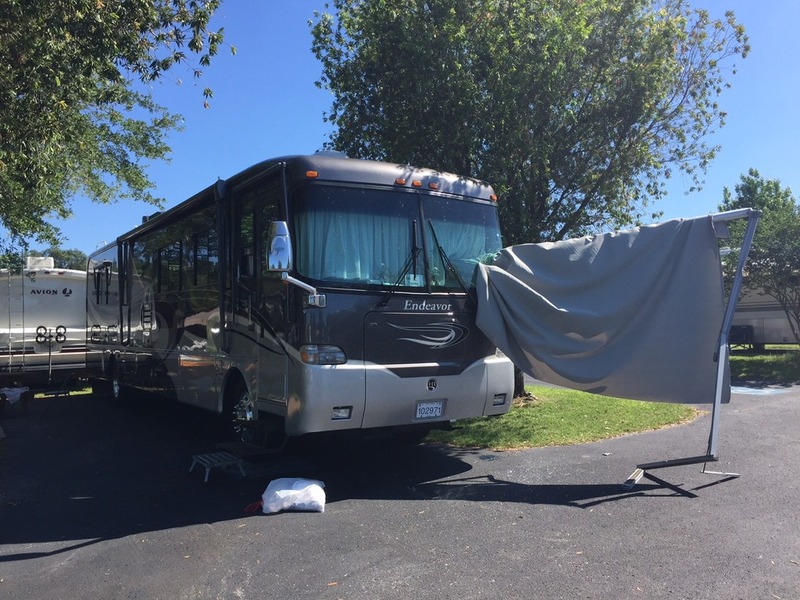 I've seen several "seasoned" rvers in some parks that would not have ever noticed they left their awning out or notice they left it stuck somewhere! Also seen a lot of rented class C rvs that leave pretty much everything behind, water & sewer hoses, regulators, trash, sometimes folding chairs.
" I feel sorry for the people now without an awning and repair bills to both rigs"
I feel terrible for the owners of the class A but have no sympathy for the 5er owner ESPECIALLY if they left without leaving behind their info., (hit & run).